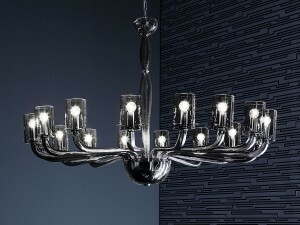 Modern Murano chandelier newest Collection. 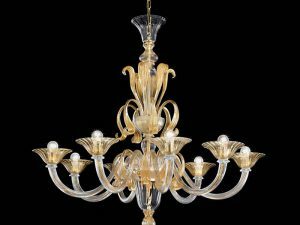 Beautifully crafted white glass modern Murano chandelier with clear Murano glass decorative elements and gold leaf. 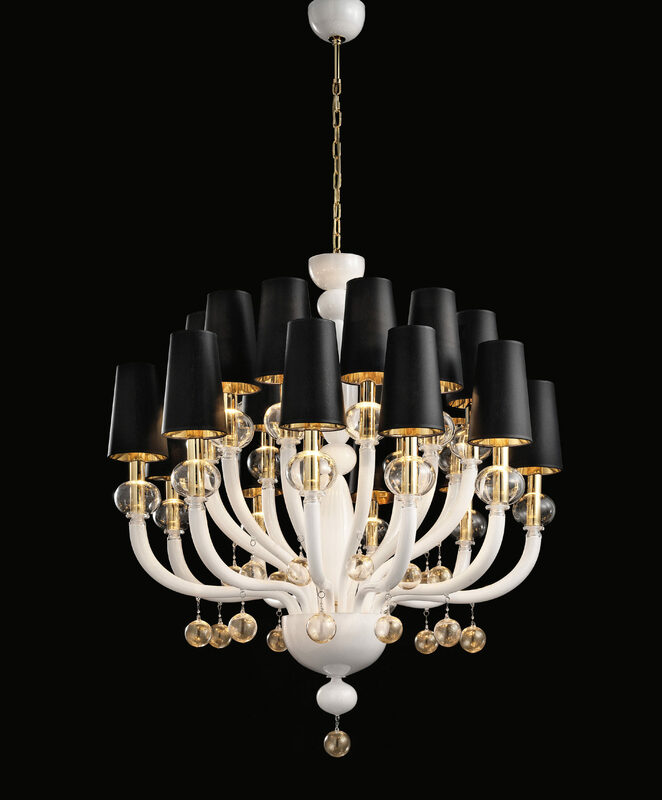 An outstanding modern look with an elegant touch of Venetian flavor and wonder style, using a classic combination of black and white with gold contrast colors. 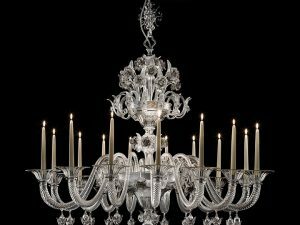 Perfect for loft, large apartment living room, kitchen or even foyer of an interior design focal point. 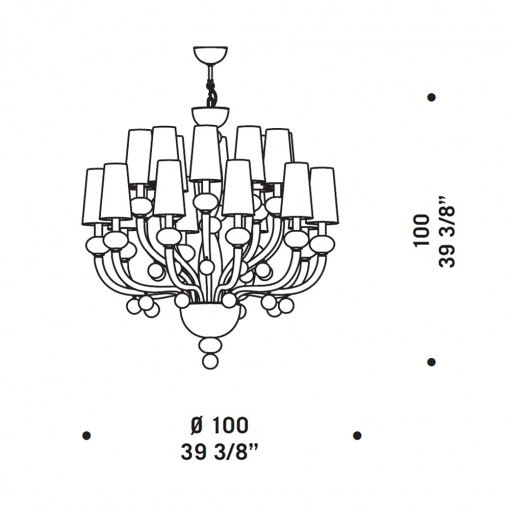 Lamp Shades:White or Black silk + polished gold. 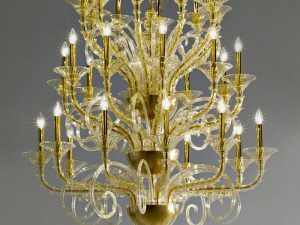 This chandelier is also available in milk-white and clear glass + gold leaf, black and clear glass + gold leaf) custom colors upon request and custom metal finishes upon your request.